The line stayed long for festival goers wanting to visit the Mothman Museum. Festival goers made it one of their priorities to take a picture with the Mothman statue while at the festival. POINT PLEASANT — The 17th Annual Mothman Festival, once again, drew a crowd of thousands. 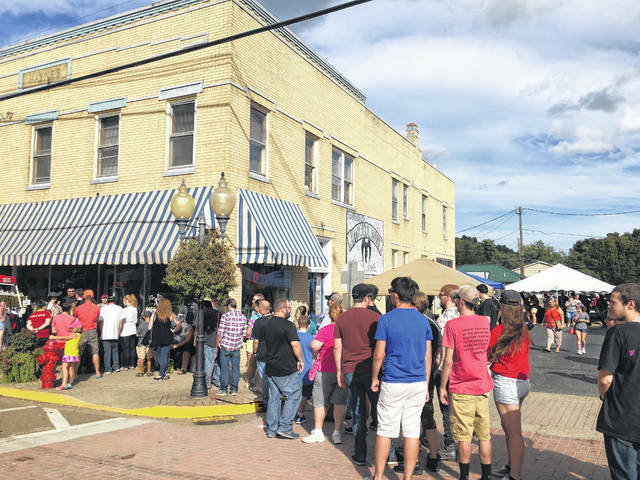 Wamsley explained in the past the crowds typically, on Saturday of the festival, begin to build around 11 a.m. or noon, however, this year a larger influx began around 10 a.m. He commented more people have been coming in on Friday for the kick starter events. The new element to this year’s festival, the Fallout 76 fan event, was a successful addition. The outside festival events were a big hit for the festival goers as well. Wamsley commented the TNT area hayrides on Saturday of the festival sold out and the TNT area bus tours sold out on the Saturday tours and on the Sunday tours had only a few empty seats. Wamsley explained the Mothman Festival has many people behind the scenes who aid in making this event so successful. Also, Mothman Festival sponsors this year included Mayor Brian Billings and the City of Point Pleasant, Mason County Action Group – Senior Services, Mason County Career Center, Mason County Tourism – Americorp, Red’s Rollen Garage, Thomas Do-It Center, Mason County Commission, Potters Wheel Pentecostals, Quality Inn – Gallipolis, Ohio, Art and Janet Hartley, People’s Bank, City National Bank, and the Lowe Hotel. 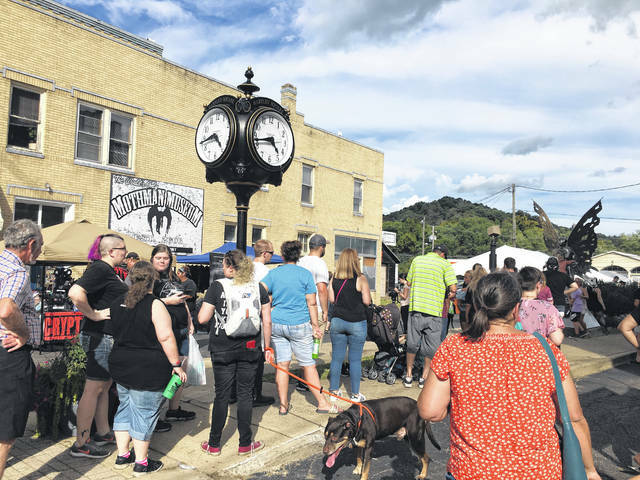 Wamsley shared he and fellow organizers of the Mothman Festival are “looking forward to a bigger and better festival next year” which is set for Sept. 20 and Sept. 21, 2019.
https://www.mydailytribune.com/wp-content/uploads/sites/42/2018/09/web1_0918.Mothman2.jpgThe line stayed long for festival goers wanting to visit the Mothman Museum. https://www.mydailytribune.com/wp-content/uploads/sites/42/2018/09/web1_0918.Mothman.jpgFestival goers made it one of their priorities to take a picture with the Mothman statue while at the festival.